Shed Makeover Stage One is finally complete and man, it was a BIG job. 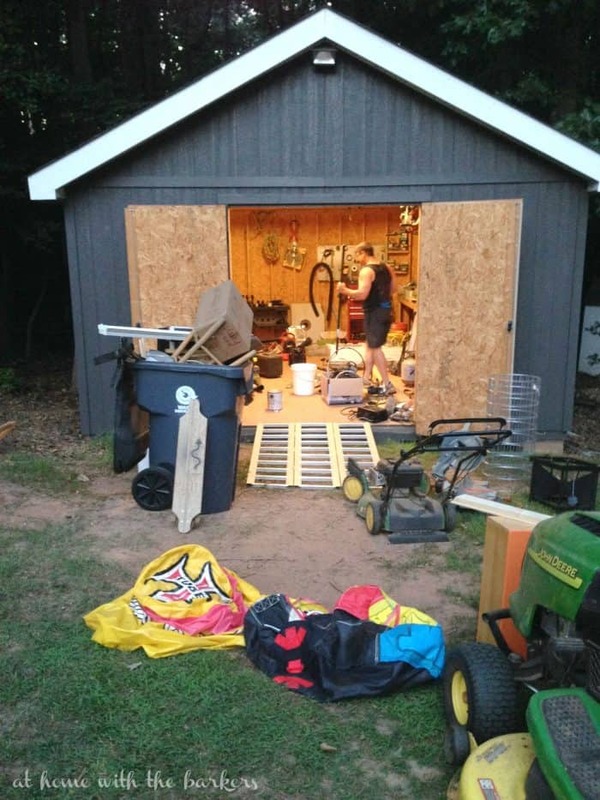 I am going to be totally real here and show you the mess that we worked around in our shed. 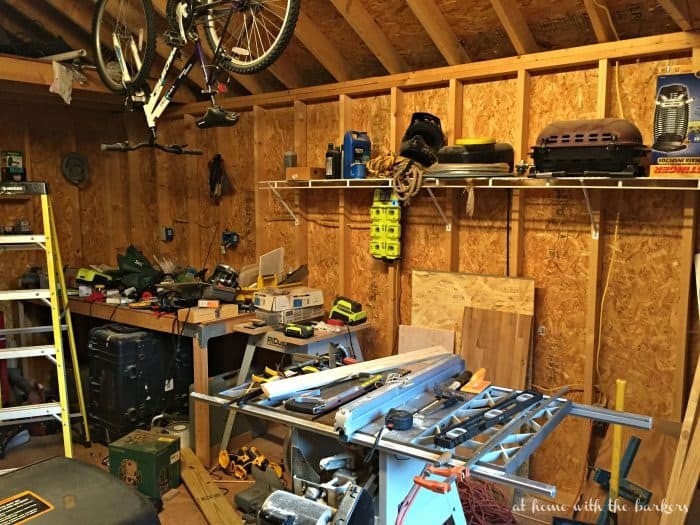 Hopefully you can totally relate and we aren’t the only messy shed/workshop people out there. This building or shed as we have always called it was built by Ray when we moved into our house almost 8 years ago. It is a decent size (16 x 20) and has held everything from tools, lawn equipment, bikes, boat stuff…you name it, it was probably in here. 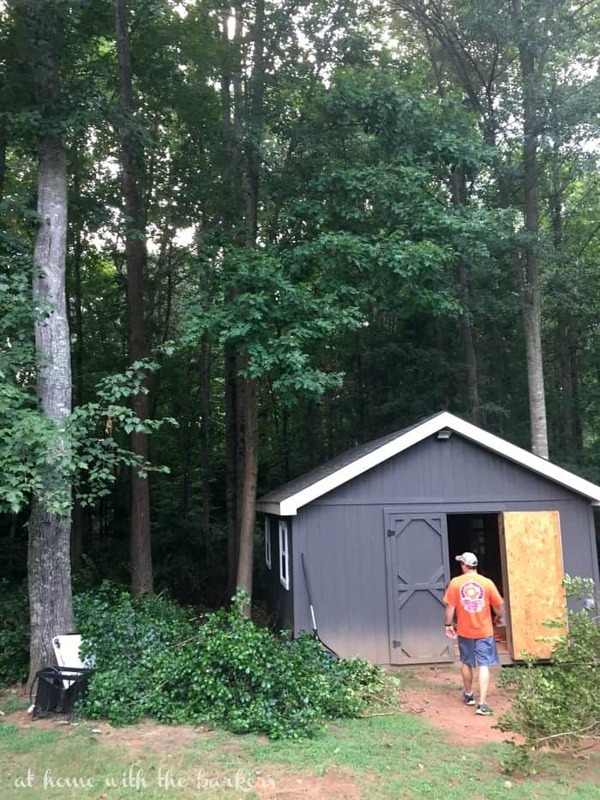 I’ve had the idea of turning the utility shed into an entertaining shed for about a year and a half but it took a while to get my Ray on board. 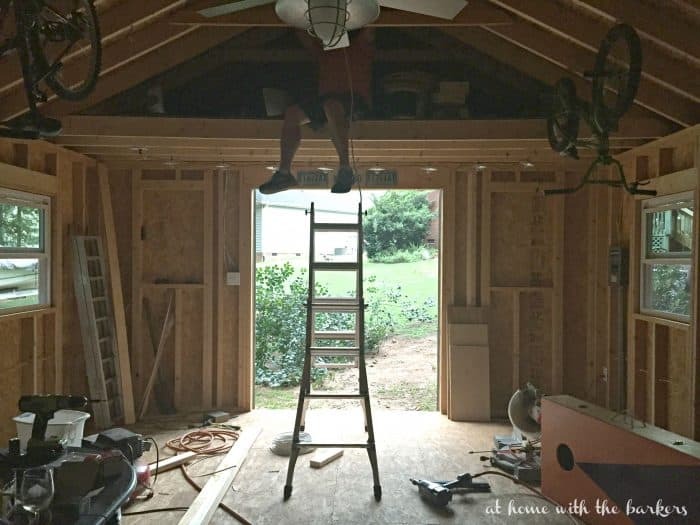 He couldn’t wrap his mind around cleaning out his mess and how it would all fit into our garage once we did. After reading the life-changing magic of tidying up and having him see the progress I was making in the house, Ray got on board! This shed was really a job he had to do mostly alone because I didn’t really know what was important to him to keep. He was AWESOME and relentless and cleared the place OUT! 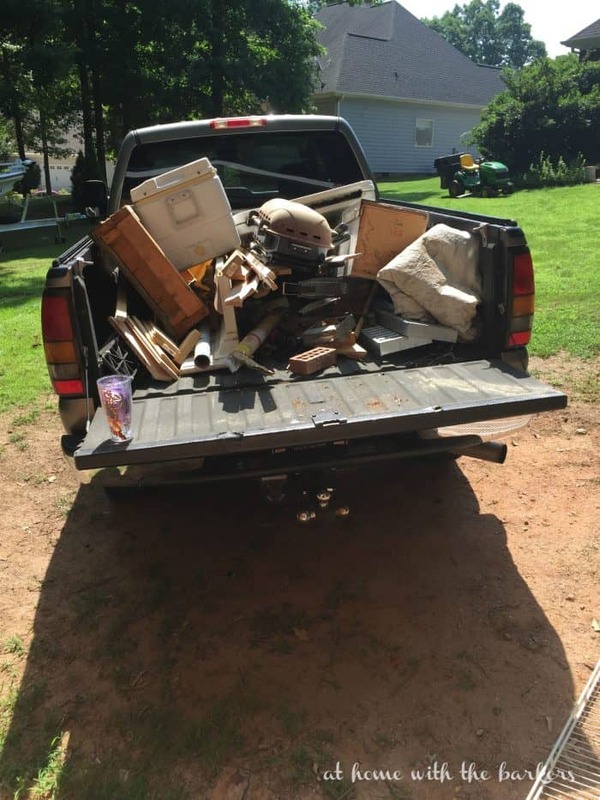 So much junk was carted off to the dump. 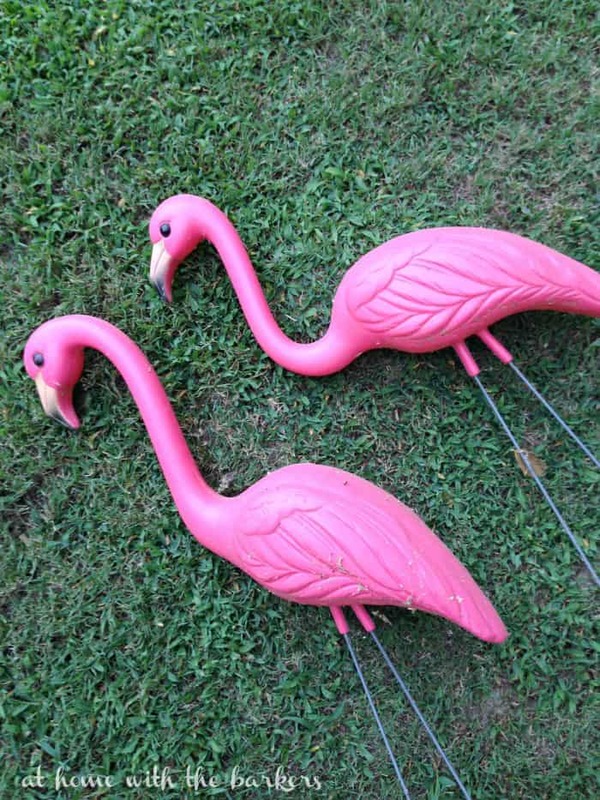 I did rescue you these guys though…they are party decor! My son bought them in Florida as his souvenir when he was in middle school. We were able to get everything we wanted to keep in our garage as well as start with some organizing in there too. More work to come but HUGE progress was made. See the start HERE and HERE. 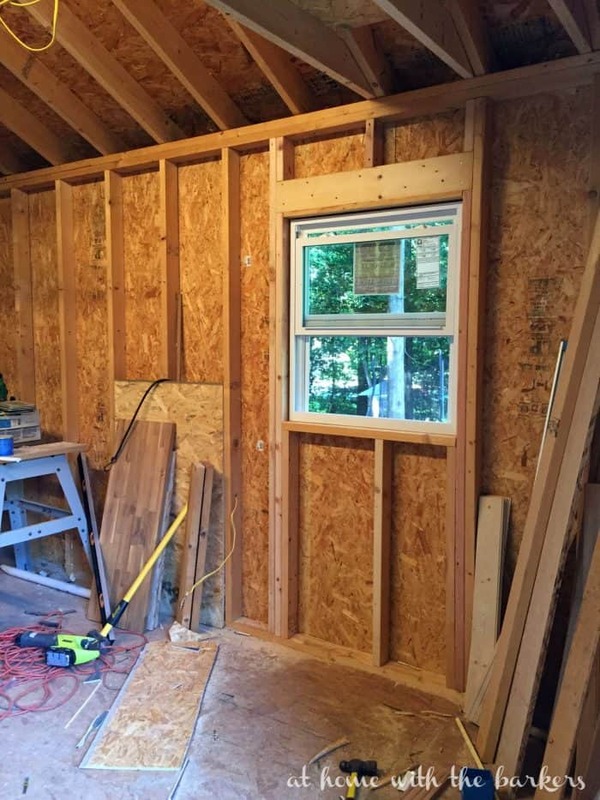 Once it was all cleared out we were able to see the awesome possibilities for this outdoor entertaining shed. We will host my son’s 17th birthday party here this weekend even though it isn’t complete yet. I went ahead and bought porch paint during the Sherwin Williams sale so I can paint the floor but with the humidity levels out the roof I decided to wait until it cools down some. We have added 4 new windows, a ceiling fan and some furniture. I’ll be doing a full makeover post once I have it all together. The windows have made such a big difference by adding natural light. We can’t seem to come up with a good name because it’s not solely a man cave or a she shed. 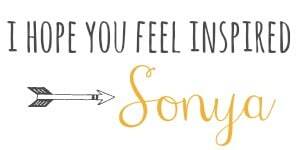 It’s a place to gather with those we love and love to be around! I’m taking suggestions. Maybe it’s the “Party Pagoda”! Looks like a fun project! Well THAT is going to be awesome! !